Do you need to export GroupWise to PST but haven’t got the time or skill required for it? The GroupWise to Outlook converter by Shoviv will work as an excellent replacement of other options as it is a complete solution in itself. It can export GroupWise to PST. This process is quite easy and free of hassles. The PST format which is the mail format of Outlook is the destination of this tool. This tool not only carry GroupWise to PST export, it can also convert GroupWise data to MSG and EML format. Along with its technologically upgraded features, this tool also has got easy return policy and money-back guarantee. You would also get the benefits of full license and instant delivery upon order. Complete migration of the GroupWise archive to Outlook. This includes all the components of Outlook including calendar, task, contacts, attachments, etc. 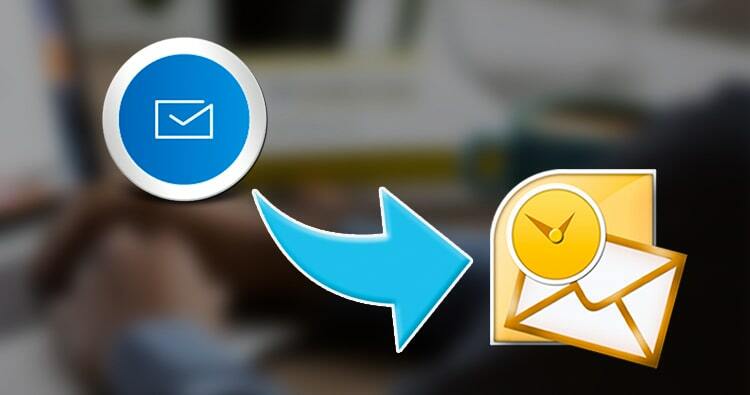 This GroupWise to Outlook converter is considered the best method for GroupWise to Outlook export as it does much more than simple mail conversion. It has plenty of features which make the overall process quite comfortable, most noticeable among them are described below. In the process to export GroupWise to PST, this tool provides the option to migrate multiple files at once. User-friendly graphical Interface of this tool is of excellent quality and guides the user so that they are not restricted anywhere even if they do not have adequate technical knowledge. This software allows to carry GroupWise to PST export via several methods- online login, default login, cache mailbox login, remote login, online login including the proxy mailboxes. This tool carries its tasks completely and scans the GroupWise mailboxes for all traces of data. It then carries the process to export GroupWise to PST with all the details- attributes, metadata, attachments. Also, it ensures that there is no changes in the data due to the migration. In the process to export GroupWise to PST format, if the files are too big, this tool will split them. While Outlook has a limitation with respect to PST files of 50 GB which they cannot exceed, there is no such limitation in GroupWise. When a large GroupWise file is exported to PST, this software splits the PST files. This procedure helps avoid cases of corruption or damage to PST files. The user is free to choose the number and size of the PST files. This feature lets the user carry GroupWise to PST migration in one go. This is done by adding multiple mailboxes at once. When single users want to perform migration from multiple GroupWise mailboxes to PST, the proxy access feature can be used. It is quite helpful and preferred in GroupWise to PST export process since it saves time. This tool makes sure that the users remain reassured regarding the safety of the process to export GroupWise to PST and preview option is an addition to that. This feature lets the users export GroupWise to PST with reassurance of the content of the data by allowing preview. With this option, one can look into the content of the data going for conversion and cross-check the attachments too. EML and MSG are two other popular formats in mailing, and this tool provides access to them as well. So, in addition to using this tool to export GroupWise to PST, you can use it to export GroupWise to EML and MSG as well. One can save the chosen files into the mail formats of their choice without difficulty. This tool is capable to export GroupWise to PST for the whole database and for the selected data as well. So you can use it to carry GroupWise to PST export, GroupWise to EML export, GroupWise to MSG export. You can choose out the files you want to convert or let it carry the conversion of the entire mailboxes, as you please. With this tool, you can be assured that neither will your files having Unicode would be left behind from the migration process or corrupted. If you carry GroupWise to PST export on your own, you may face problem with the files in foreign language. However, using this tool will ensure that you face no such complication. Also, cases of data corruption, data loss, and incomplete conversion are handled well by this tool so you get awesome results every time. You can test the above-mentioned features of this tool with the trial version free of cost. It lets you carry GroupWise to PST export of first 25 folders. With the full version, you can migrate files without limitation. It comes with other features which are present in the full version, so it serves as a model for it. Get it instantly so that you have an easy time deciding. We have got free technical support which is available 24*7. You will find the link to download the tool below.